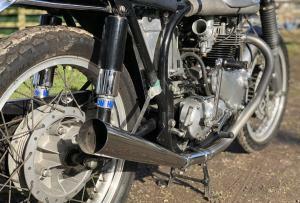 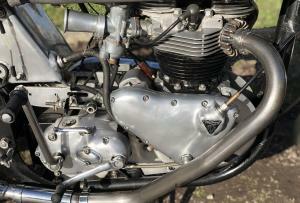 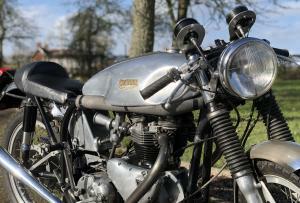 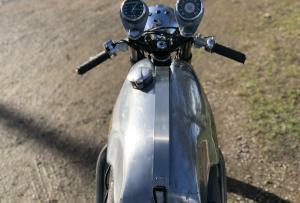 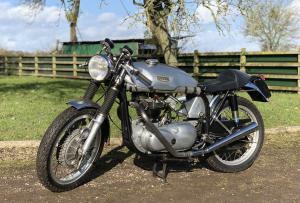 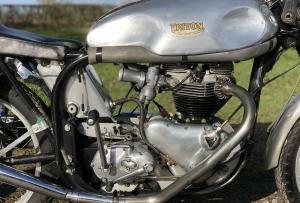 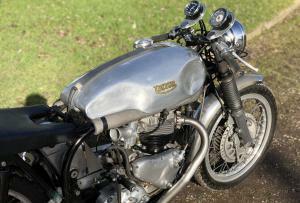 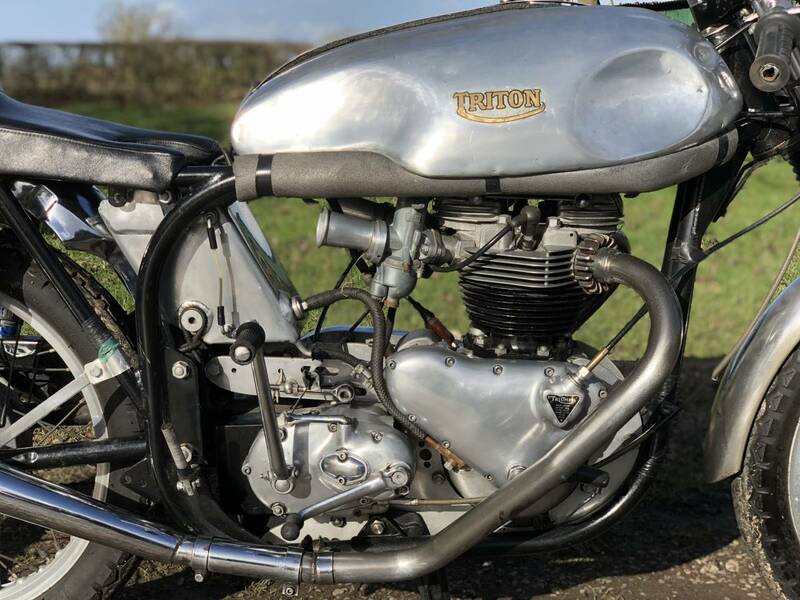 Triton "Historic" 1965 650cc. 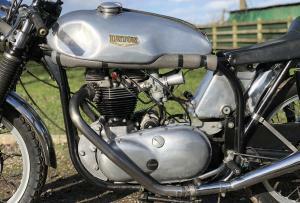 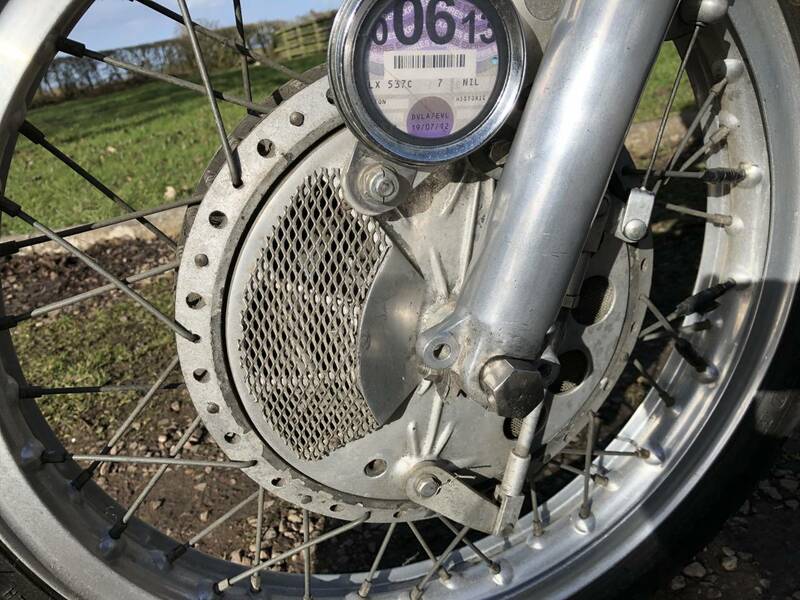 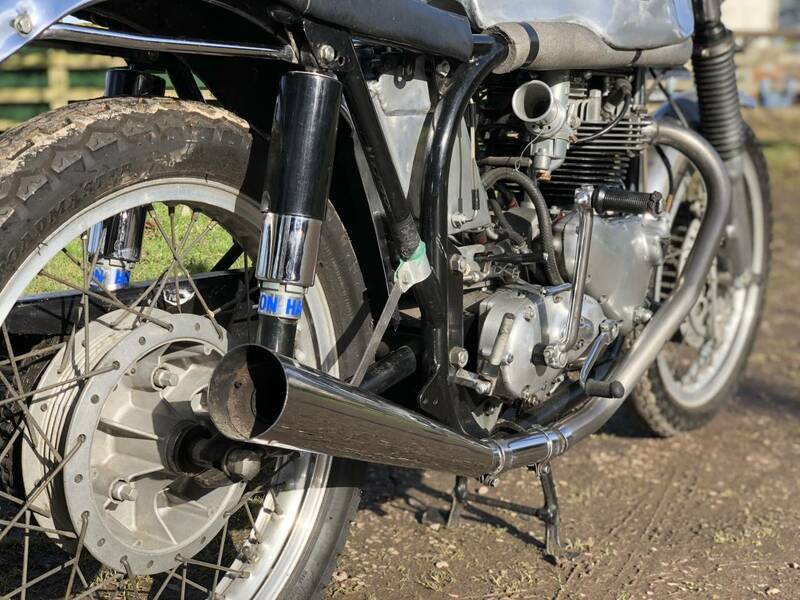 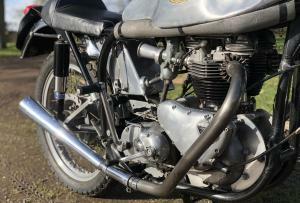 This Lovely "High Spec" Machine Was Built Many Decades Ago , Using A Norton Wideline Featherbed Frame , Rebuilt Early 1960's T120 Bonny Pre-Unit Engine And Gearbox , Red Label Competition Mag , Period Alley Racing Tank , With Alley Central Oil Tank , Norton Road Holder Forks , Twin Clocks , 4 Leading Shoe Twin Cable Pull Front Brake , Alley Flanged Rims , Period Racing Seat . 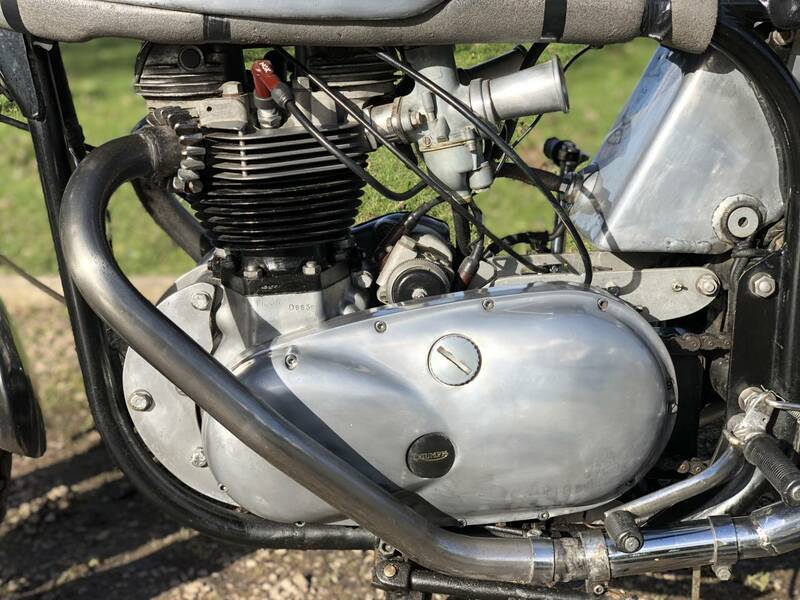 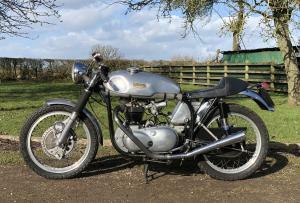 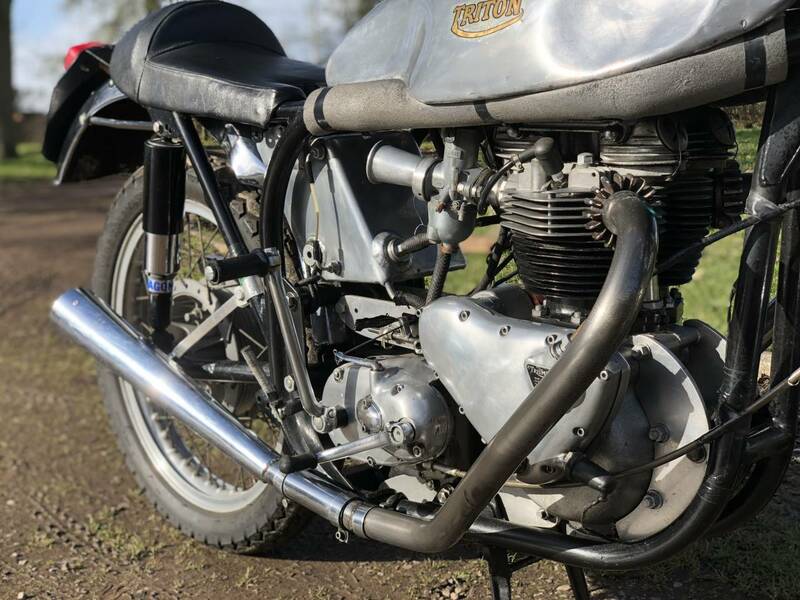 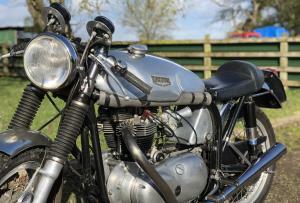 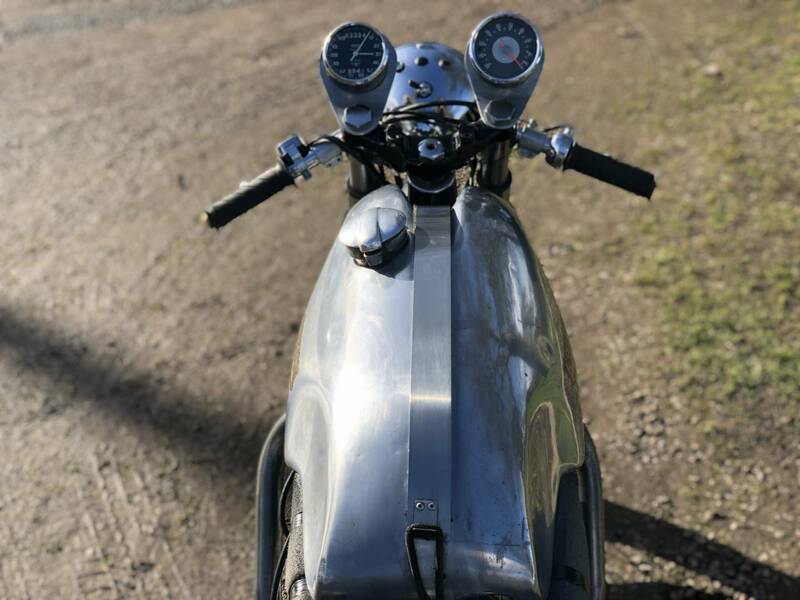 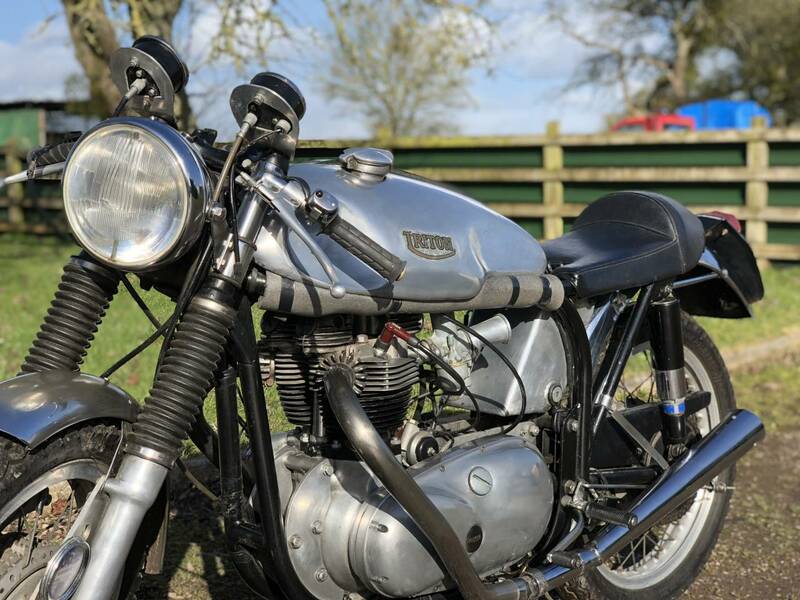 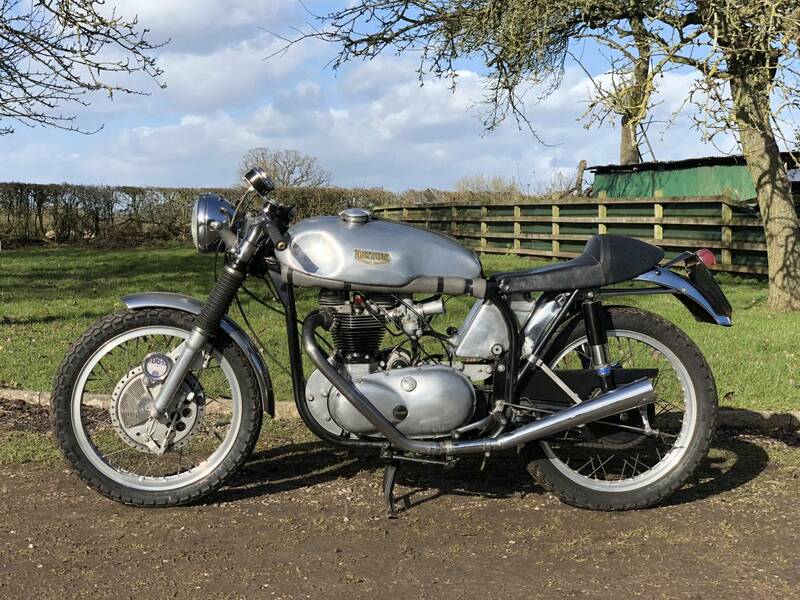 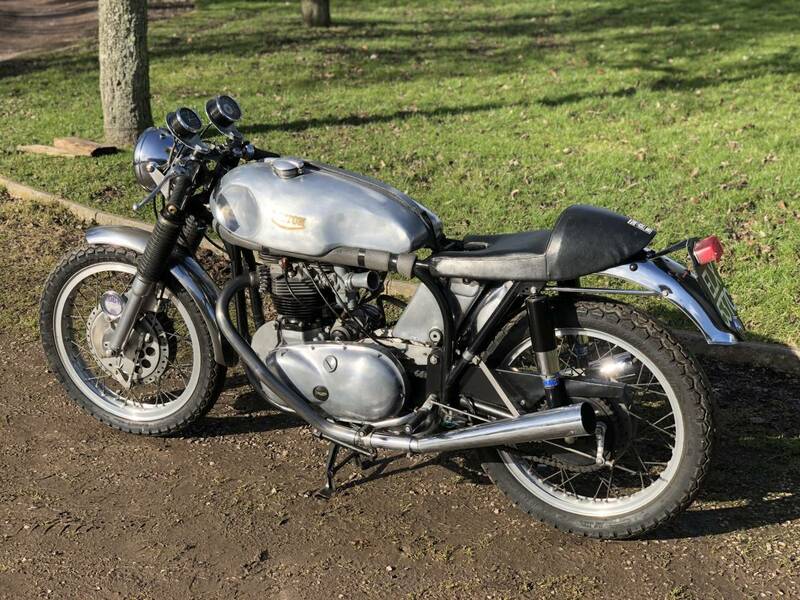 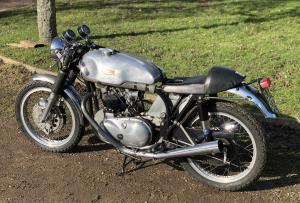 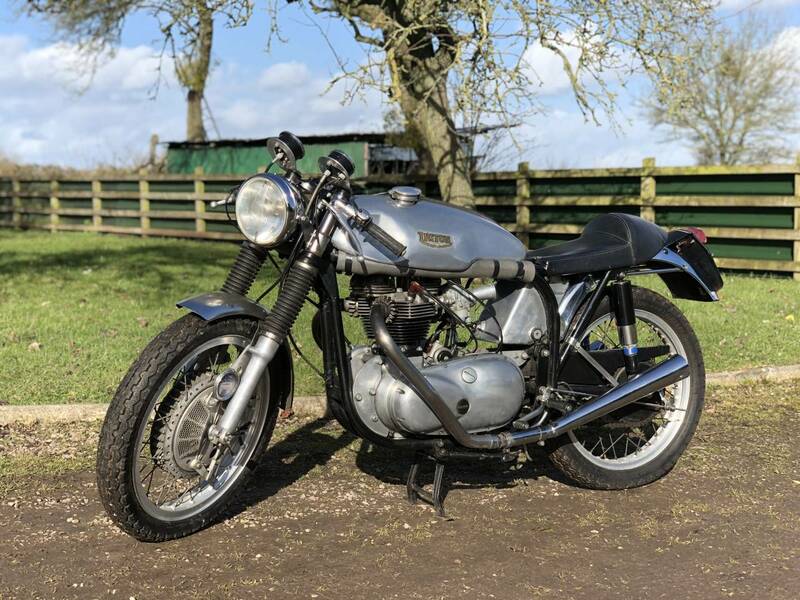 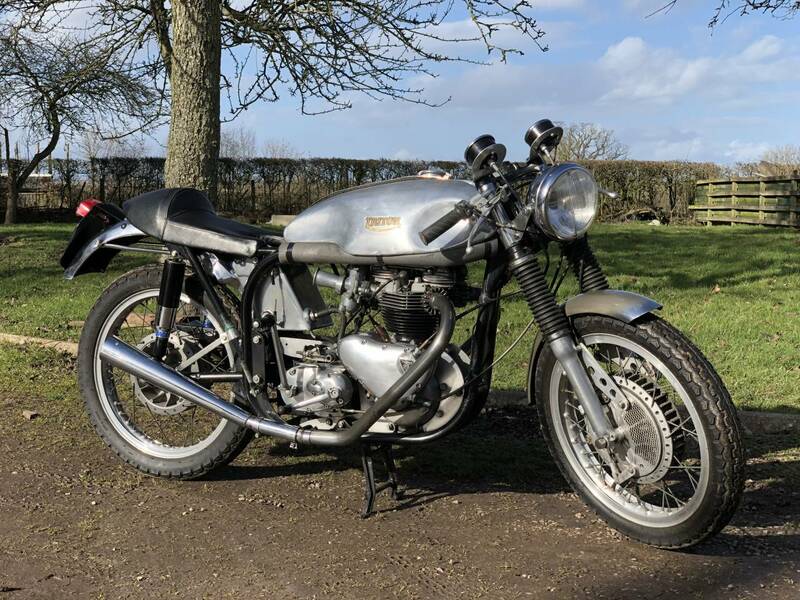 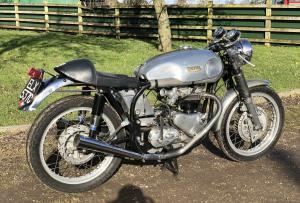 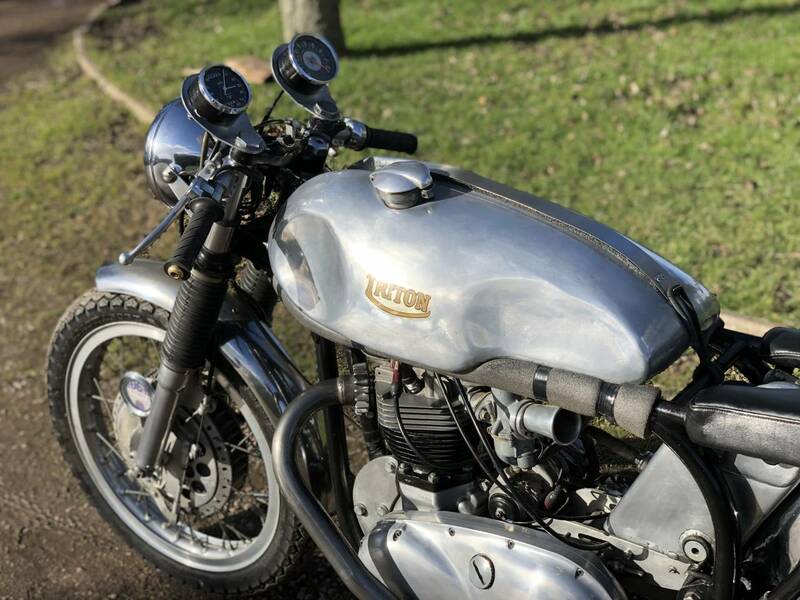 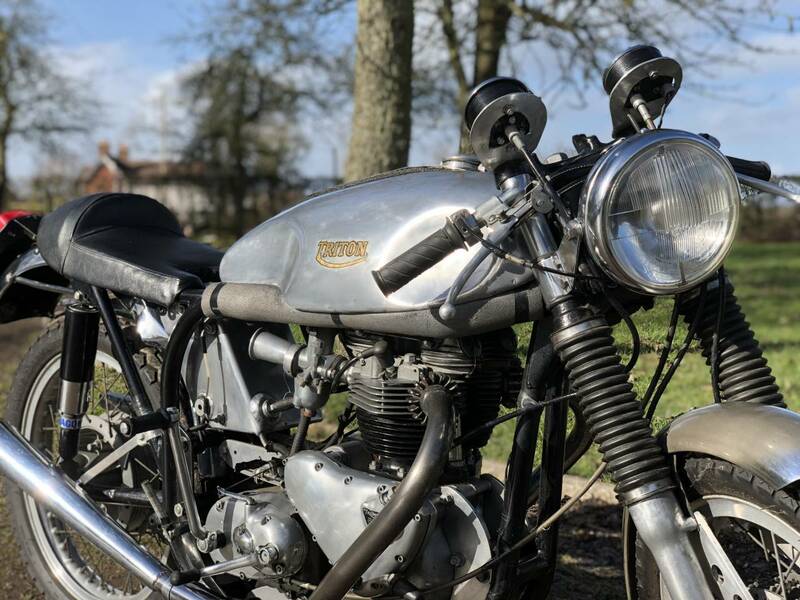 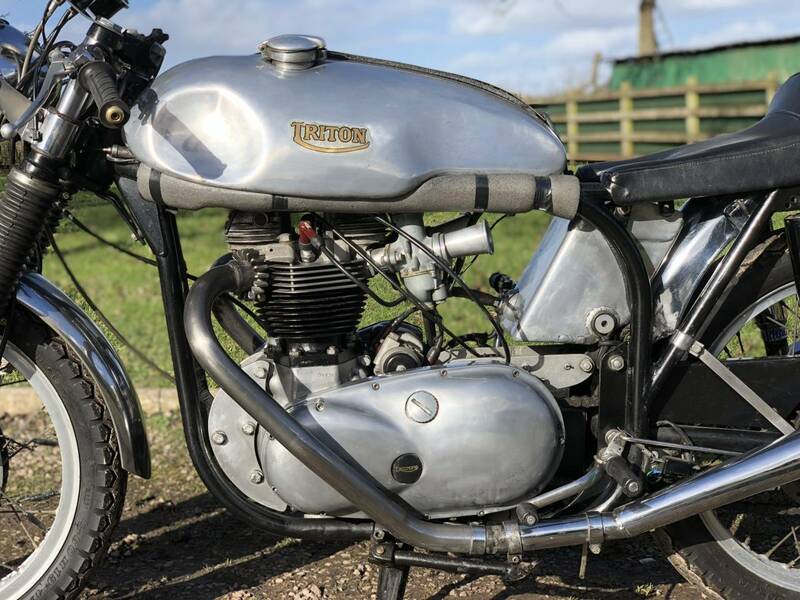 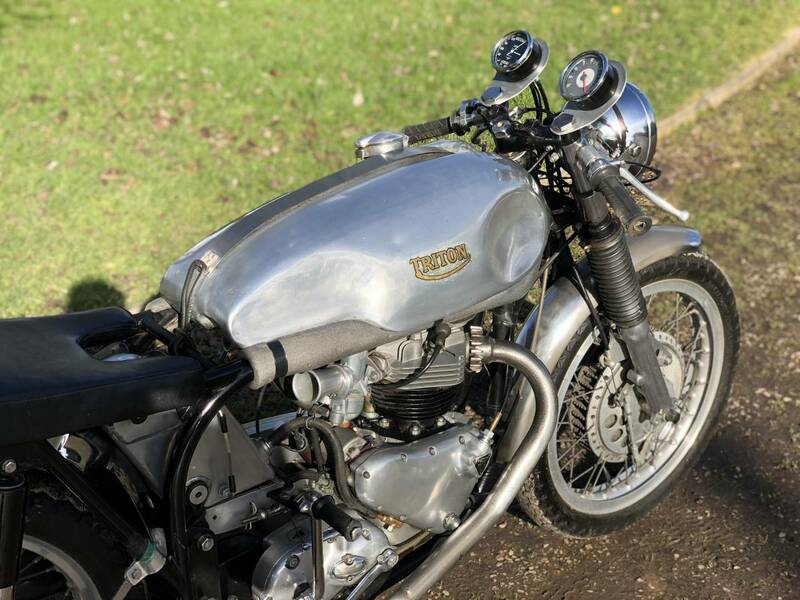 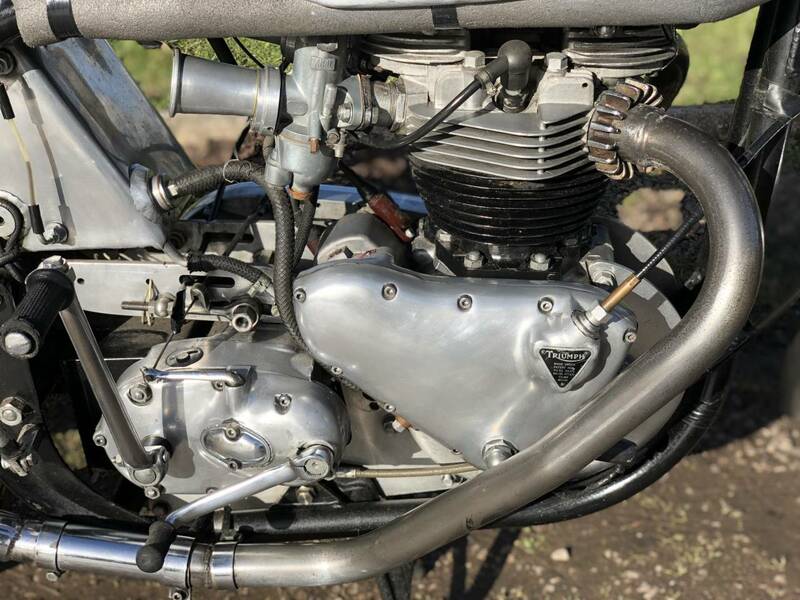 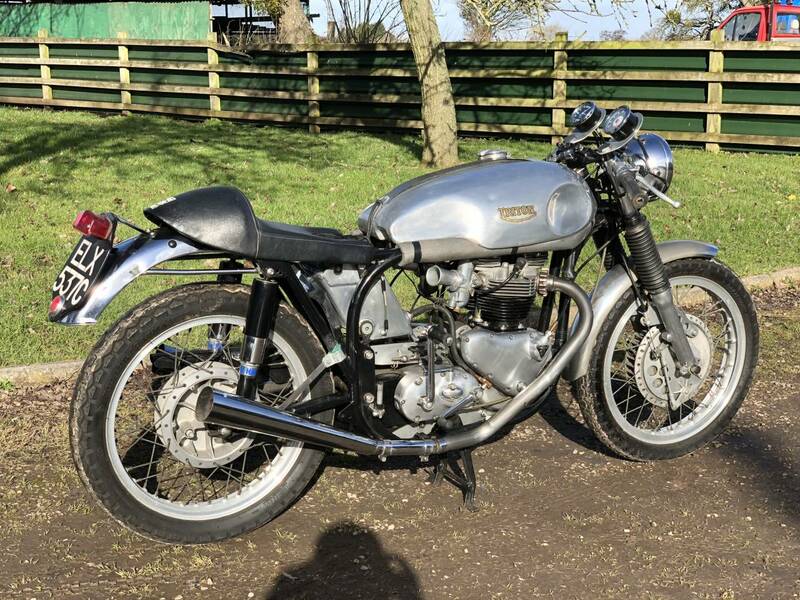 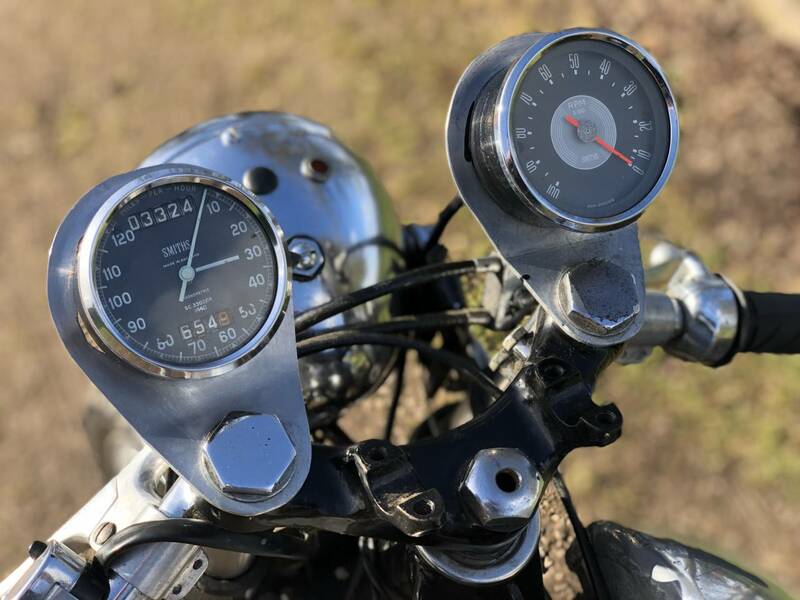 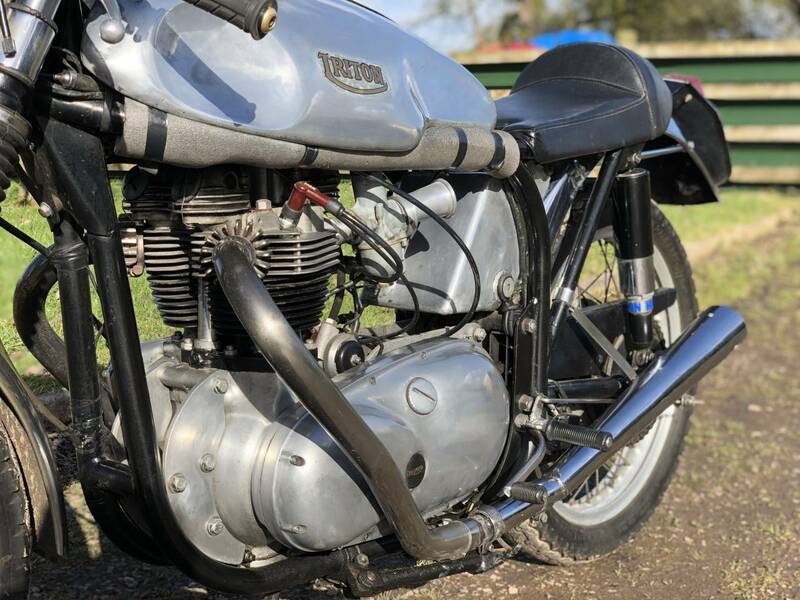 This Triton Was Built And Registered As A Triton In The Early 1960's And Has Lovely Patina Of Age ; Not A New Build , As Most For Sale Now Are ! 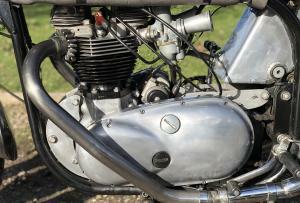 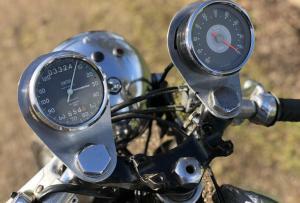 Yes There Are Dents In The Tank And Scuffs Here And There , But These All Add To Its Historic Character . 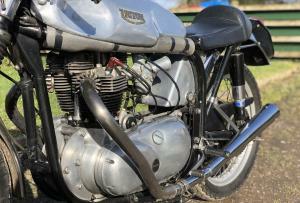 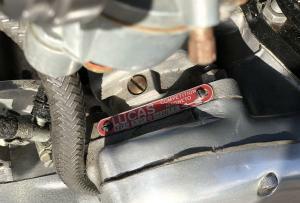 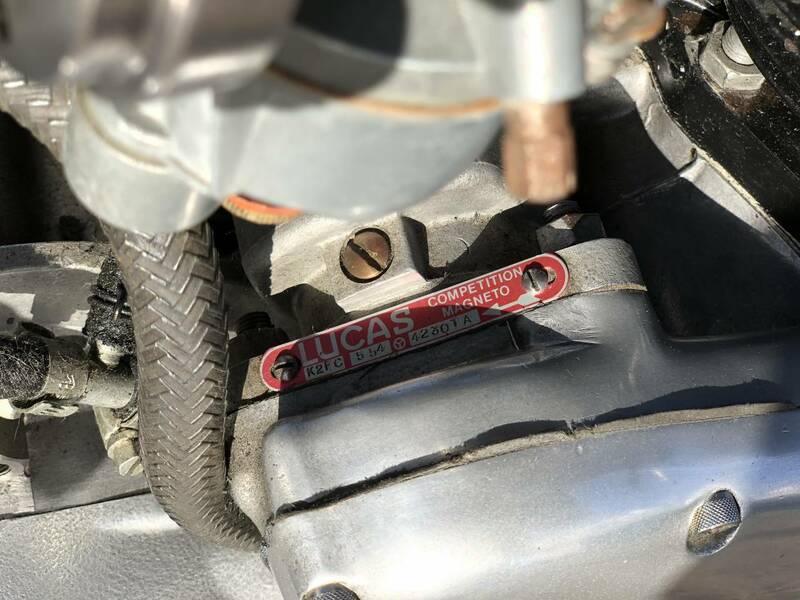 When We Bought It , It had Been Carefully Dry Stored And Unused For The Past 2 Years. 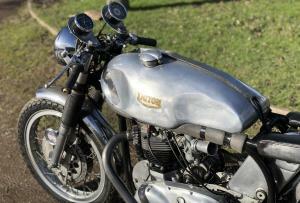 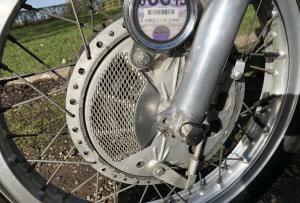 So Will Need Recommissioning And A Service.